Odorous ants get their name from the distinct odor produced when they’re crushed; it’s similar to the smell of a rotten coconut. As the weather warms up. Kelowna’s BugMaster team believes taking ongoing pest control prevention measures is your best defence. Read our guide below and view our Pest Insurance Packages for the best year round protection. Although odorous ants do not cause structural damage or pose a health issue like rats, they are still a pest. They can contaminate food, and form large nests in your home if they’re left undetected as seen in this YouTube video of Odorous Ants Under Insulation. Odorous ants can live for several years and nest almost anywhere. Once they’ve moved into your Okanagan home, it’s very difficult to evict them without help from a professional pest control company. Odorous ants are attracted to food, especially sweet foods such as sugar, honey, syrup or candy. Leaving food out will attract them, so keep your food sealed. Your kitchen is a prime hotspot for odorous ants to live, so ensure you keep it clean and tidy. Seal cracks and crevices around your home with silicone caulk. Areas around utility pipes are are especially vulnerable, so check the carefully. Keep trees and bushes trimmed and away from your home, as they can easily become access points for odorous ants to enter your home. During these current winter months, ants have stocked up food to eat throughout the winter but have no way of hoarding water for hydration. From November to March, your goal in prevention is to leave no trace of water for access. This means reducing all standing water and moisture (wiping out your sinks and tubs at the end of the night, putting away cat or dog bowls containing water when you go to bed, making sure no spills are left for our six-legged foes). Taking the right steps to an Ant Free Home are essential if you want to avoid a much bigger pest problem. Watch the Youtube video, How to Prevent Odorous House Ants for more tips. If you have an infestation, it’s necessary to contact a licensed pest control company to eradicate the problem. 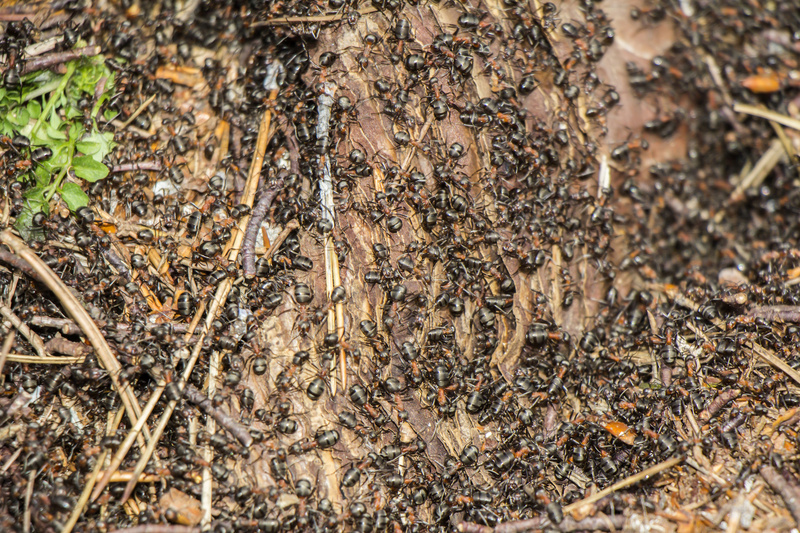 If you’ve had an odorous ant infestation before, it’s likely it will reoccur in coming years. It is an ongoing process to keep them at bay. Regular maintenance sprays through the course of the spring, summer, and fall will help keep that barrier strong. Pest control is like any regular health maintenance regimen; it needs to be maintained on a regular bases to be effective. We recommend BugMaster Pest Insurance as the best ongoing and effective pest control method. Contact BugMaster for more information. We service the Okanagan Valley including Kelowna, Vernon, Penticton and surrounding areas.